Rumours of Spotify wanting to move into hardware have been around for 18 months. It was keen to collaborate with smartwatch startup Pebble when it was developing a wearable called the Pebble Core with its own 3G connection built-in. Unfortunately, the gadget never made it to the market as Pebble hot the financial skids and its assets were sold to San Francisco based activity trackers Fitbit. 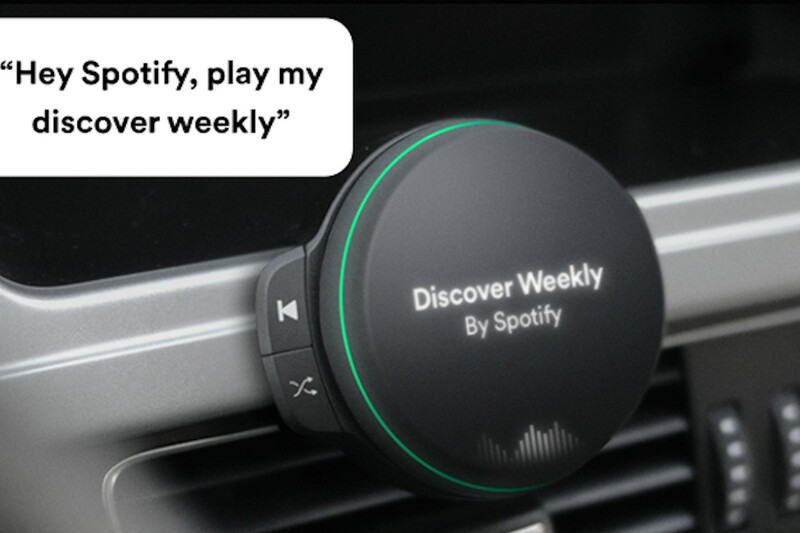 Now anonymous sources have told The Financial Times that Spotify’s first product will be a $140 voice-controlled music player for the car, and due out in 2019. The Swedish streaming service apparently wants to take on Apple’s The CarPlay and Google’s Android Auto (which it supports) with a purpose-built in-car music player of its own. Built in partnership with multinational hardware company Flex, all that’s known so far is it will sync with the car’s audio system via Bluetooth and offer data connection for streaming on the move.